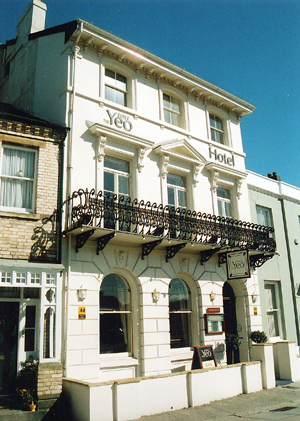 The Yeo Dale Hotel has a distinctive Georgian frontage and the interior retains many of the original Georgian features, including ornate plaster ceilings and a facade boasting a grand balcony and stucco embellishments. The hotel is superbly situated in the parish of Pilton yet is just a five minute walk from the town centre. We are close to all the main road links and are ideally positioned for exploring the many beauty spots and attractions of the area. A boutique style hotel mixing the modern with the original period features. A Relaxed, and personal service that can be enjoyed whether on business or holiday . Begin the day in our elegant Georgian dining room which looks out onto the River Yeo and Pilton Park. This charming room retains many period features and contains the works of local artists. It is here where the blend of modern and traditional come together and define the style of the hotel. We offer ten individually decorated bedrooms, some large and grand, others simple and compact.